If there is one college tradition as old as time, it’s the tradition of the care package. That box of goodies that would arrive at the doorstep or the mailroom of the college dorm. For the lucky recipient, their neighbors and suitemates were just as curious to see what they received. In those early days of eating at the dining hall at Virginia Tech, a care package full of goodies was an awesome treat that I loved to receive. However, the one care package that my suitemates could not wait for me to get was the one that arrived periodically from my home Grange. They quickly learned that Grangers knew how to bake. Of course, I loved the goodie boxes from the family, but it was the ones from the Grange that were the most fun. When I opened that box, I never knew what to expect. They were smart enough to always send chocolate chip cookies – my favorite. But then would be the other varieties – the Rice Krispie treats, a family favorite cookie of another type, or some other baked goodie that my suitemates clamored I share. The craftier members would have a small handmade knick-knack or two tucked in the box as well. The Grange had received a memorial donation in honor of one of its members. The members decided to invest the funds into its collegiate youth. 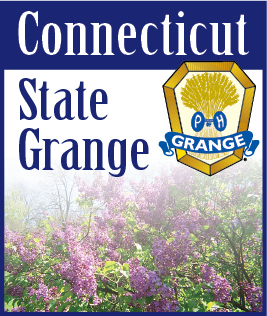 I have always been grateful for that gesture; it came at a time when it would have been easy to let my membership lapse since I was out of state and more than 10 hours from my home Grange. While some might ask how does a college care package help with youth? For me, it was that kind reminder that members were thinking of me and cared. It also was the push to keep my excitement for Grange membership while college activities were overwhelming my time. In addition, there were 15 college women that got to learn from me what Grange was. Obviously, my college days are long behind me, but in this time where Grange youth are settling into another year at school, it serves as a great reminder of how our organization can stay connected with those youth and give them a piece of Grange, while they are still so far away from home. Editor’s Note: For college-enrolled youth looking for a Grange to affiliate with while away from home, contact Charlene at youth@nationalgrange.org for assistance.